Which brand of water heaters is right for you? Water Heaters Only, Inc. installs – and repairs – many different water heating products and brands. The brand of water heater we install is important because there is one question that we need to have an answer for: What’s behind the brand name? Click below for the type of water heater you are interested in to learn more. Click the links below for the type of water heater you are interested in to learn more about. Why choose Water Heaters Only, Inc for your water heaters? 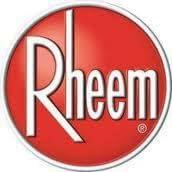 Experience: Over our nearly 50 years in business, Water Heaters Only, Inc. has purchased and installed just about every brand of water heater sold in the United States today, so we are confident we “know” them all pretty well. We know them so well because we stay in touch with the manufacturers to keep up on new product designs and innovations. Also, our technicians receive the most up-to-date training on the latest products and design changes. Quality: We look for quality water heaters that won’t quit on you within a few years and we also look for features that will get you more hot water at a lower price. Most manufacturers have many different models with many different features and it can be confusing to the average person, but we know what specifications to look for in a water heater so we can provide a top quality product to our customers without incurring additional costs. Customer Service: Great customer service is something we pride ourselves on, so we strive to provide the highest level of customer service possible. It’s one of the many reasons why we’re currently celebrating our 49th year servicing and installing water heaters. 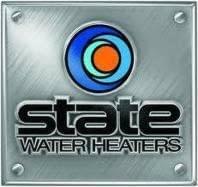 So if you have a question regarding a certain brand of water heater or if you just want more information about our services, call (951) 688-1175 24 hours a day to speak with a water heater expert who can answer all your water heating questions.